This book follows an academic tradition that illuminates the historical experience of everyday people, particularly individuals and groups hidden from the limited vision of African nationalist historiography. Eric Silla, scholar and leading member of a think-tank on African Affairs in the US Department of State, brings his skill to an assessment of leprosy, otherwise known as Hansen disease, in Mali. His primary objective is to situate bodily transformations and the social identity of Malian lepers within a broad context of human experience, especially within a framework that accounts for historical changes marked by ‘big events’ such as migrations, technological innovations, bio-medicine, colonialism, political evolutions and economic innovations. The events described follow a detailed chronological order that covers much ground in the pre-colonial, colonial and post-colonial history of Mali. Silla’s central argument is that from a historical point of view, lepers in Mali have been accorded a “stigmatized social identity.” This identity, rooted in human fear and lack of medical understanding, reduces the social power and humanity of carriers of the disease. Silla explains, for instance, that during the pre-colonial era, some agrarian communities in Mali restricted lepers from participating in ritual activities and getting married. French colonial administrators and health officials took the stigmatization of lepers a step further during the colonial period, especially when they labeled lepers who moved too close to European settlements or urban areas as “vagabonds and criminals,” instituted penal codes to restrict the migration of lepers, called for the physical confinement and segregation of lepers to agricultural leper villages and segregation camps, and created medical institutions such as the Institut Central de la Lepre, in which health directors and medical doctors fostered a martial atmosphere which made the surveillance and social control of lepers possible. The stigmatization of leprosy patients did not end with the termination of colonial rule. In Mali today, most lepers have been reduced to a beggarly status, becoming easy targets for police ‘round-ups’ and victims of unlawful incarceration. 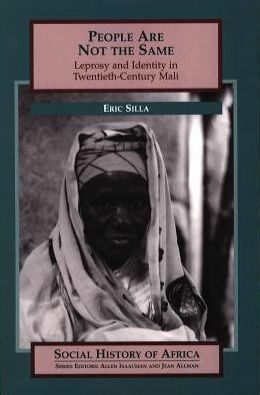 Silla’s analysis is elevating and satisfying mainly because it gives credence to the historical agency of Malian lepers. He argues that in spite of social and political constraints, lepers in Mali found creative ways to negotiate their identity and make their demands and discontents known. For instance, during the colonial period, segregationist policy backed by French administrators failed as a result of the resistance put up by lepers. Lepers who chose to remain within medical institutions fostered a sense of communal identity and organized revolts to protest against oppressive medical administrative policies. In the post-colonial context, a number of informal associations were created by former leprosy patients to lobby for medical assistance and welfare services. The Association des Malades Lepreux du Mali instituted by leprosy sufferers in Dijkoroni quarter of Bamako serves as a clear example. Two significant attributes make this study stand out in historiography on leprosy in Africa. First, the author delivers great scholarship with the use of a wide variety of historical materials. Archival sources consulted include French missionary documents, letters, and diaries located in Bamako, Dakar, Aix-en Provence and Rome. Other non-conventional sources used in the study include Arabic texts, linguistic evidence, and oral testimonies. Silla provides a multi-voiced narrative by conducting interviews with leprosy patients and health practitioners at Bamako’s leprosarium known as the Institut Marchoux. Second, the book offers a remarkable comparative perspective that links the experience of lepers in Mali to that of lepers in China, Brazil, Hawaii, Europe, India, West Africa and the United States. Overall, this study is an important and consequential piece of scholarship that students of history would be advised to read. Its impressive innovative ideas set an agenda strong enough to engage the attention of social historians, medical practitioners, international organizations and policy makers for a long time.